I know, I know, I’m asking for a lot. But we’re worth it. You’re worth it. Trust me. You won’t regret it. Saffron is the crown jewel of all spices – the most expensive spice in the world. And for good reason. It comes from the crocus flower. And each flower has 3 stigmas attached to it. These stigmas are then individually handpicked and dried, resulting in this precious spice we call saffron . A lot of work. But oh so worth it. 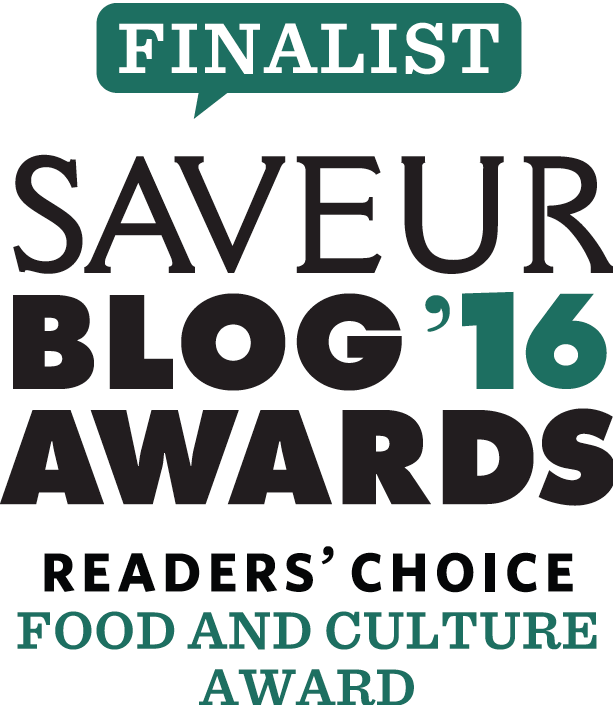 Persian cuisine and saffron are almost synonymous. Iran is responsible for over 90% of the global production of the spice. It is used in both savory and sweet dishes. It is treasured for its distinct, rich sunset hue and its purported “joy inducing” fragrance. It is also a natural dye, so beware of stains. If it is true that we eat with our eyes first, then Persians eat with their eyes and noses first. In our house, growing up, the color and aroma of even the most basic dishes were just as important as the taste. Often my mom will talk of a spice or dish releasing its “perfume”. 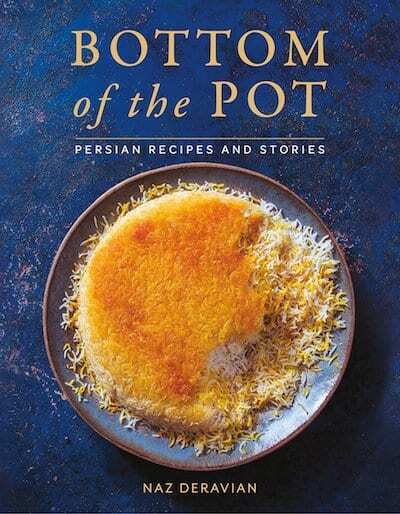 Thus, the use of so many rich aromatics in Persian cuisine; saffron, rose water, cinnamon, cumin, and cardamom evoke poetic descriptions. Persians by nature are a very poetic people. Young school children can be heard quoting Hafez, Saadi, Rumi, Ferdowsi, Khayyam. Poets ancient and new are highly revered and respected. So it’s not surprising that romanticism and metaphor should spill over into our cooking as well. Because of its high cost, rich hue and taste, a little saffron goes a long way. The best way to maximize its use is to grind up the saffron threads. This can be easily done with mortar and pestle. It only takes a couple of minutes. Or, you can use a spice grinder. 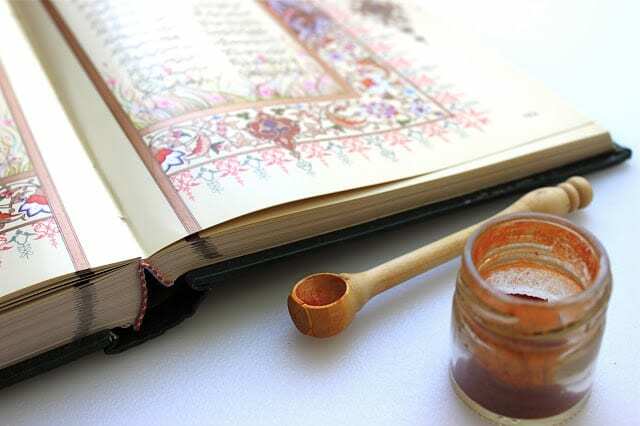 Once ground up, the saffron can be kept in a little spice jar with its lid on tight. It is also best not to purchase already ground up saffron. As it may be adulterated. Sounds scandalous doesn’t it? What it means is that it might not be 100% saffron. It might have other spices like turmeric or paprika mixed in. In our house, I am very protective of the saffron jar. Liquid gold we call it. To get to the saffron, you have to go through me first. I even have a little wooden spoon that is specifically for saffron use only. 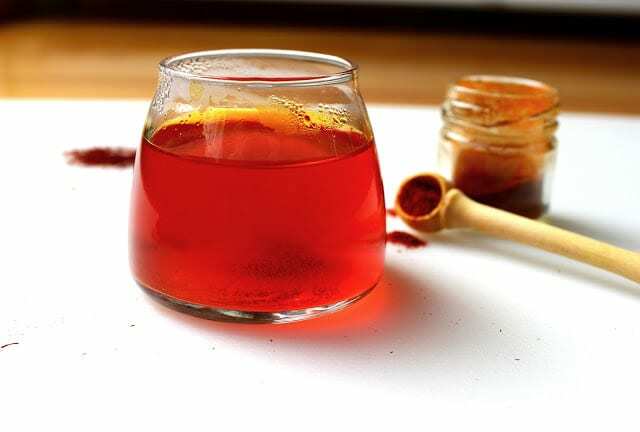 In order to get the most saffron bang for your buck, a bit of the ground up spice is mixed in a small glass of hot – but not boiling – water. 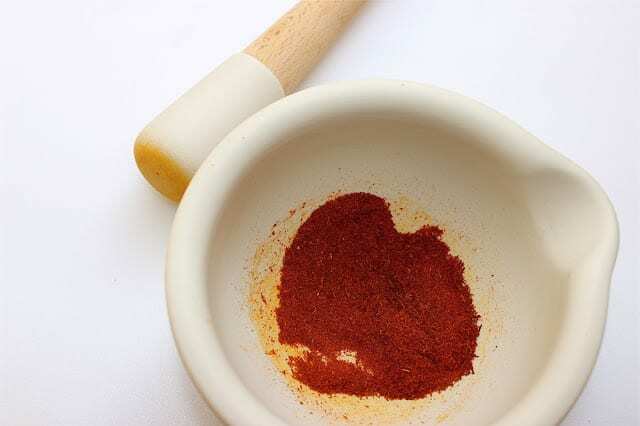 This is much better than adding your saffron directly to your cooking food, as you will be using less but still getting the flavor you want, as well as releasing its wonderful medicinal qualities. Specific amounts of saffron-to-water ratios will be given in recipes. 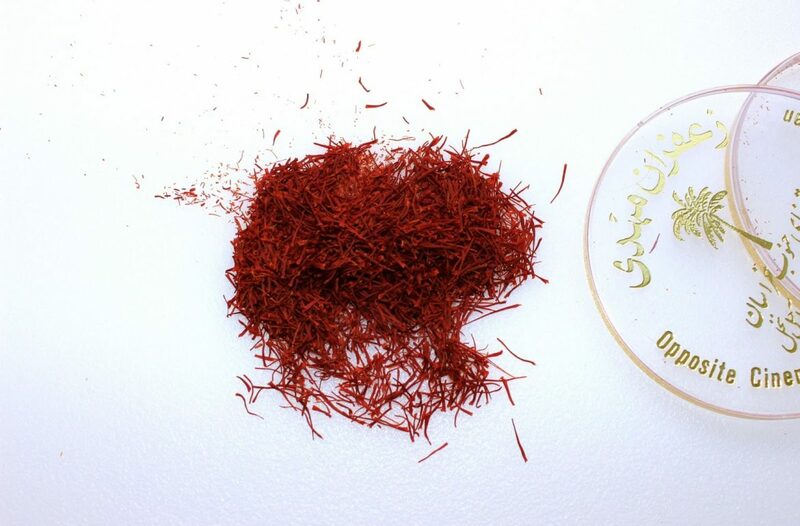 If you have saffron threads that you do not think you will be grinding up and using soon, you can store the threads in their case, in the freezer to retain freshness, although you might lose some of the perfume over time. When she was cooking, my Mom's fingertips were often stained a little rust. I can't tell you how much I adore opening a new box of saffron threads, closing my eyes, and breathing deep. The smell of saffron is like a time machine. Nothing like certain scents to unlock the floodgates of memory! Thanks for this, Naz. I was recently somewhat shocked to see at Whole Foods "West Point Naturals Whole American Saffron", non-irradiated, product of China. It is a fraction of the cost of "real" saffron. I am curious and skeptical. Have you heard of this? Although it makes me a little nervous, perhaps its price point means that saffron can be brought to the masses? Hmm…interesting. I haven't seen or heard of the brand. What makes me slightly suspicious is that it's called "American Saffron" (whatever that means) and it's made in China. But let's not jump to any conclusions. I'll check it out. Also, you have great access to Persian stores in North Van. 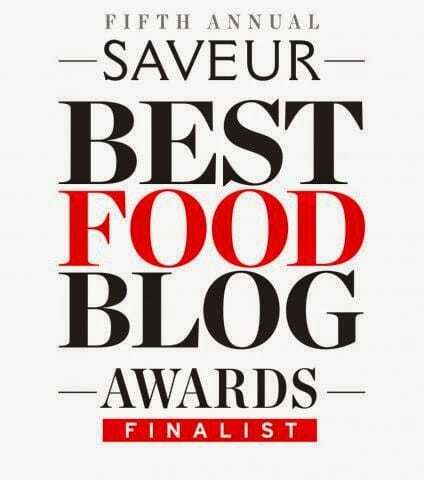 where I'm sure you can find good saffron. A little pricey but well worth it and will last you. I'll get back to you on the "American Saffron"!